The hubby gave me The Perfect Cookie as a Christmas present. 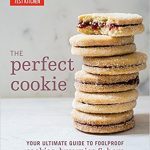 Read on to learn all about this truly beautiful cookbook and check out what is now one of my favorite cookie recipes. 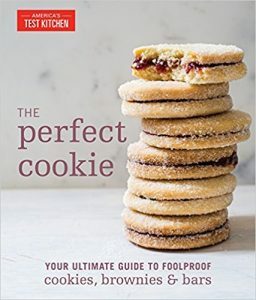 I have made several cookies from this book and it is fast becoming a favorite. This is a beautiful cookbook. There are a lot of photos which I love and plenty of recipes. 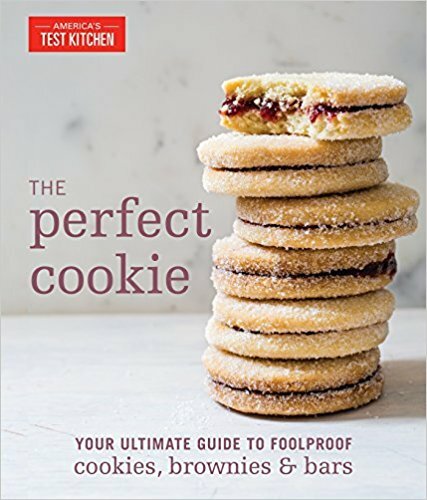 You will find all kinds of cookies and they have gone through the rigorous testing that the chefs of America’s Test Kitchen are known for. All types of cookies are here; drop, bar, cut outs, molded. It’s nothing complicated but what you will find are the 250 promised recipes that if you follow them will work for you when you use them. That is the beauty of a cookbook from America’s Test Kitchen. The recipes have been tested and refined so that you don’t have to worry about whether they will work or not. They are not super fancy but they are GOOD. The directions are clearly written and easy to follow. There is a section at the back with gluten free recipes. I’ve been looking through it for a couple of days now and I’ve found several recipes that I can’t wait to try. Using a stand mixer with the paddle attached cream together the butter, zest, sugar and salt until light and fluffy. About 3 minutes. Add the egg yolk, until well mixed. Then add the egg and mix well until well blended. Turn off the mixer and add the flour mixture. On low speed mix together just until combined. 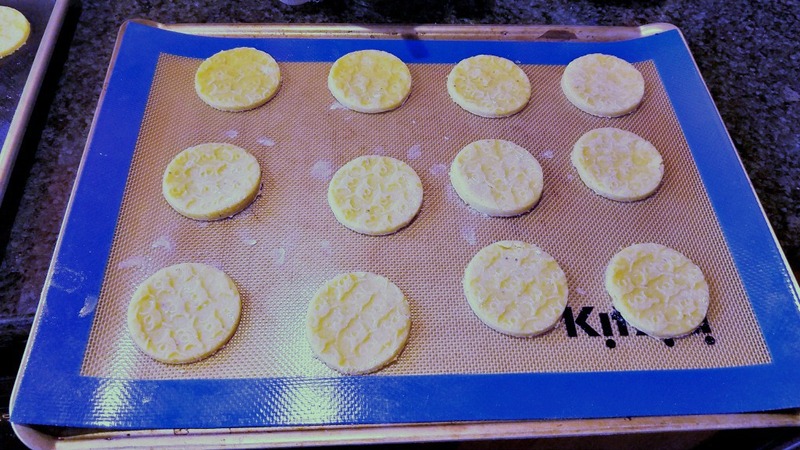 Remove the dough to a lightly floured counter, divide into fourths, form each fourth into a disc, wrap in plastic and refrigerate for 45 minutes. 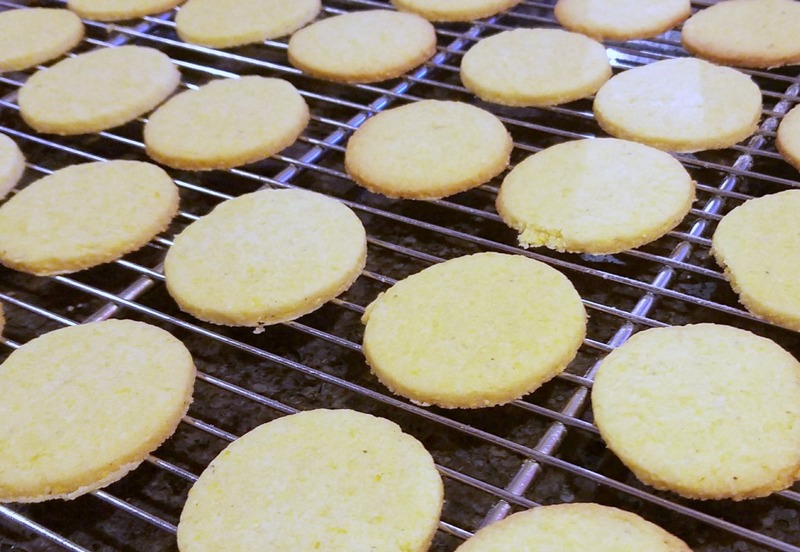 Cut into rounds (I used a 2″ cutter) and remove to a prepared baking sheet placing the cookies about 2″ apart. Bake in the preheated oven for 7 minutes then rotate the pans and bake for another 7 minutes until the cookies are just done. Remove to a wire rack to fully cool. I have found a new favorite cookie. I am not kidding. These are so delicious. They are not too sweet, delightfully buttery and have a wonderful orange flavor. 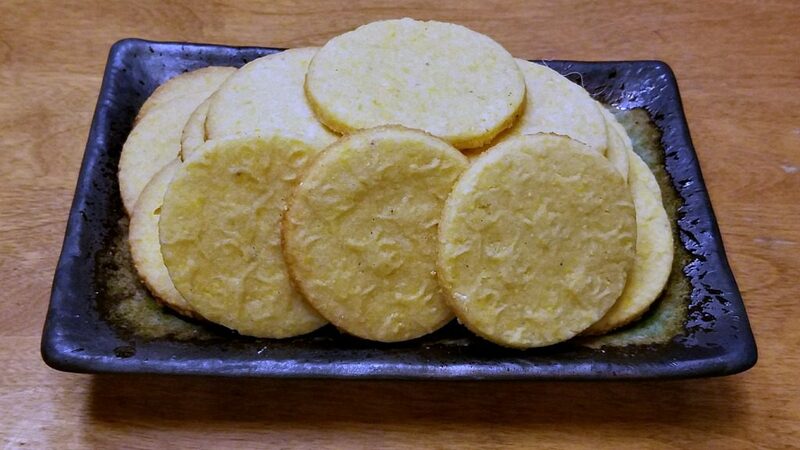 The cornmeal adds a heavenly crunch to what would have otherwise been a basic shortbread cookie. I will also note that I would call these adult cookies rather than kid’s cookies because they are not overly sweet. I will not comment as to how many I have “taste tested.” Ah-hem. Using a stand mixer with the paddle attached cream together the butter, sugar, zest and salt until light and fluffy. About 3 minutes.